Recycling municipal wastewater offers a reliable and sustainable solution to cities and regions facing water shortages. California and Singapore for instance apply advanced wastewater reuse programmes as an integral part of their water management strategy. Membrane technology, particularly reverse osmosis, plays an essential role in the production of high-quality water from municipal wastewater. A recent article in Environmental Science & Technology presents the latest developments in the field of membrane technology and identifies the opportunities and challenges concerning membranes for wastewater reuse. 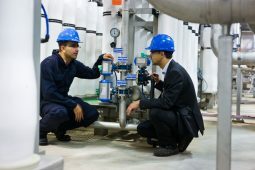 Compared to alternative techniques (activated carbon filtration and soil aquifer treatment), membranes – specifically in reverse osmosis – provide a better assurance for safe drinking water production, because they can be used to simultaneously remove a wide range of contaminants such as particles, pathogens and dissolved chemical substances. For this reason, modern wastewater reuse plants make significant use of reverse osmosis, with an increasingly frequent application of micro- and ultrafiltration processes as pre-treatment and, downstream, of low-pressure ultraviolet (UV) treatment with hydrogen peroxide for the destruction of small micropollutants, such as N-nitrosodimethylamine (NDMA). Despite these developments, reverse osmosis still faces a number of challenges, such as high energy consumption, membrane fouling, concentrate disposal or treatment, removal of small micropollutants and membrane integrity assurance and monitoring. Reprinted with permission from Tang, C.Y., Yang, Z., Guo, H., Wen, J.J., Nghiem, L.D., Cornelissen, E., Potable Water Reuse through Advanced Membrane Technology (2018) Environmental Science and Technology, 52 (18), pp. 10215-10223. Copyright 2018 American Chemical Society. Alternative membrane processes, such as the application of forward osmosis (FO) for water reuse, offer a promising approach which has advanced significantly over the last years. 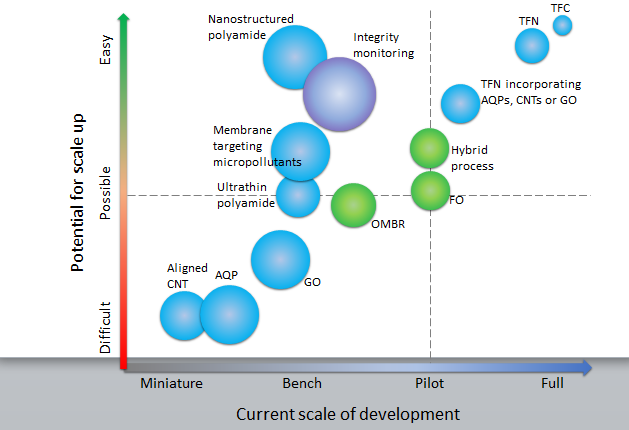 FO, itself a low-energy process, is driven by the concentration differences over the membrane. The challenge is to cut back the use of an energy-intensive recovery system, which is needed for the production of high-quality water. An osmotic membrane bioreactor (OMBR) for water reuse directly combines FO with wastewater treatment in activated sludge systems, creating a compact system with high micropollutant removal rates and the simultaneous recovery of water and nutrients. 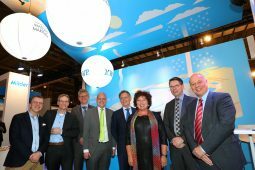 The OMBR was developed at KWR in 2005 and has contributed to a growing interest in FO. 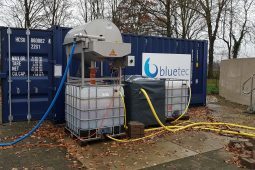 In the recent TKI CoRe project, KWR, together with RHDHV, BLUE-Tec, the Rijn en Ijssel and the Vallei en Veluwe Water Authorities, and Waterschapsbedrijf Limburg, study the direct treatment of municipal wastewater with FO for the concentration of wastewater, the recovery of valuable materials and the reuse of water. The new developments focus on low-energy and low-fouling membranes with a high retention of micropollutants. The classic thin-film composite (TFC) membrane has been improved through to the development of ultra-thin separation layers. Further developments are taking place in the application of nanotechnology in the production of thin-film nanocomposite (TFN) membranes. The membranes of this new generation contain aquaporins (AQP) (protein channels), nanochannels and synthetic carbon nanotubes (CNTs), graphene oxide (GO), or are formed by self-assembling polymers. Lastly, developments are taking place with a focus on membrane modification, using an anti-adhesive surface coating for application in wastewater reuse when specific biofouling presents a problem. The presence of small micropollutants is a serious challenge to wastewater reuse using reverse osmosis. Small polar compounds, such as NDMA, pyrazole and 1,4 dioxane, are difficult to remove with classic TFC membranes, which in principle are designed for high-level salt removal and high water permeability. 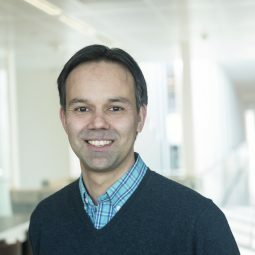 Recent developments in membranes are directed at applying specific surface coatings on membranes to improve their retention of small micropollutants. Reverse osmosis has a high removal rate for viruses and bacteria (disinfection), because the pores are much smaller than the dimensions of viruses (which are smaller than bacteria). However, membrane systems can fail because of broken modules or damage to the membrane surface, for example. Currently there are no techniques to directly determine RO membrane integrity for > 2 log removal. Very recently at KWR, within the framework of work on a multi-source 1-step RO, a newly-patented membrane integrity method was developed to address the presence of natural viruses in feed water. The natural or new virus method (NV method) was applied during the reverse osmosis of surface water from De Grecht in Kamerik (Oasen), and a 7-8 log removal was recorded. This promising new approach appears to be essential in assuring the integrity of wastewater reuse plants. The subject will be included in a future TKI project for the method’s further development.